Note: we’re not accountants, and we definitely aren’t familiar with your local tax laws. You should seek the advice of a knowledgable accountant, and point them to this page if they need to understand how Podia handles VAT. Or contact us on live chat with your questions. VAT is a consumption tax levied on goods in the EU. Businesses collect this tax on their sales (most consumers only ever see the “inc. VAT” price) and return the money to their national government on a monthly or quarterly basis. Up until a few years ago handling VAT was relatively straight-forward: an Irish business selling to a customer from the EU charged everyone the Irish VAT rate. Simple! Many countries also had exemptions for businesses operating below a revenue threshold. In Ireland, for example, only businesses with a turnover of more than €37,500 are required to register for VAT. Likewise, in the UK, the VAT threshold is about £85,000, but in other EU countries there's no threshold at all and every business, not matter how small, needs to charge VAT. 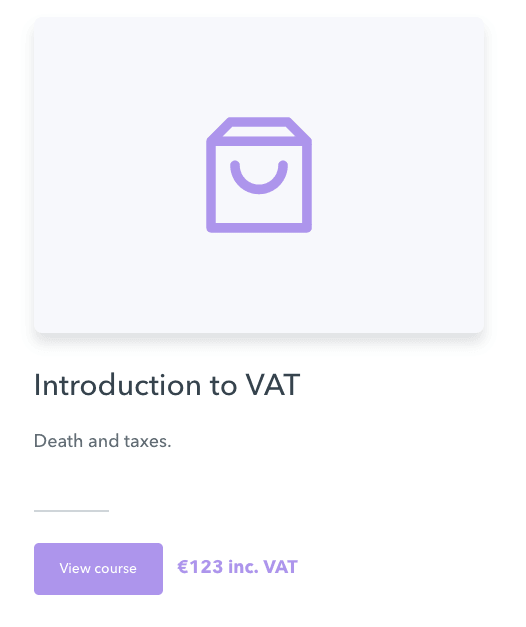 In 2015 the EU brought in new rules to govern how VAT is applied to electronic products and services — exactly the types of courses, memberships, and digital downloads which Podia lets you sell. These new rules had two effects: first, you must first determine which country your customer is from, and then charge them their local VAT rate; secondly, there was no threshold specified so every business now needed to register for VAT. The result of these new rules is that now an Irish business must charge French customers the French VAT rate, German customers the German VAT, etc. 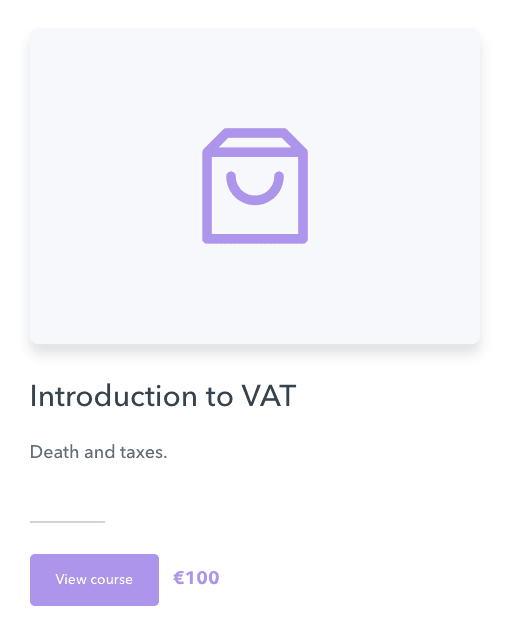 How does Podia handle VAT? Unlike other e-commerce providers, we don't act as an intermediary between you and your customers. 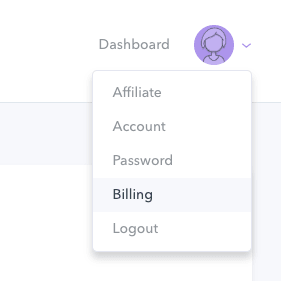 You sell directly to them, using your Stripe or Paypal account connected to the Podia platform. This means there's no delays in getting your money but it also means you need to handle the business side of VAT yourself. 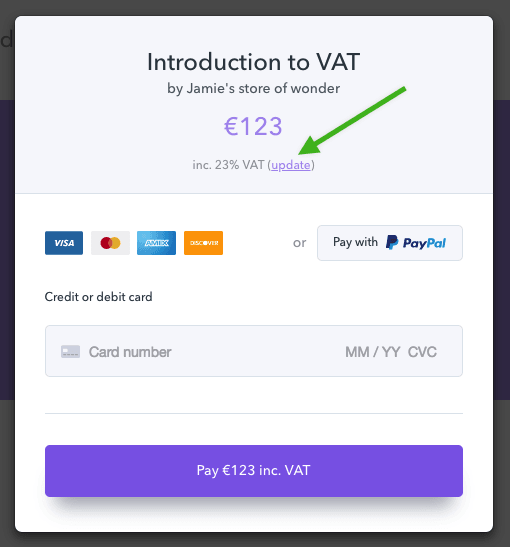 Podia will calculate the amount of VAT due from each customer, add the VAT to the customer's bill, collect that money to your Stripe or Paypal account, and store all the tax data you need to make an accurate VAT return. It remains your responsibility to actually return the collected taxes to the correct authorities, typically via a “Mini One-Stop Shop" which lets you register once in your country and return the correct amounts of VAT to each European tax authority. See your local tax authority for more details. First, Podia needs to know where each customer is from. There are strict rules around this which boils down to collecting two pieces of non-conflicting location information. For each customer to your storefront we start by using their IP address to determine their approximate location. We use this location to determine if VAT is due, and how much, so we can show accurate VAT-inclusive prices throughout your storefront for European customers. At the point of checkout we confirm their IP address and gather the country from their chosen payment method (Stripe or Paypal). These two locations determine the country we’ll use to calculate the final VAT rate. If these two locations don’t match, we’ll ask the customer to explicitly choose which country they’re in. Two of these must match to determine the VAT rate and allow a purchase to go through. If none of these countries match, the customer will be asked to contact support. Additionally, a customer might be another VAT-registered business. In this case, they can update their tax details at the checkout and supply their VAT registration number. We validate that their VAT number is correct and, if so, we can recalculate the VAT due. Once a purchase has been made, the customer will be prompted to enter their name and address. We use this when producing a proper VAT invoice. When it comes time for you to calculate your VAT return, we provide all the figures you need to show what tax was collected, for which countries, and which customers. You will need to enter your tax country and a valid EU VAT ID. You’ll also need to enter your address to be displayed on your customer’s invoices. We detect that they're outside the EU and so VAT is not due. They will see your prices without VAT applied, just as it always was. We detect that they're in the EU and fetch the VAT rate for digital products in their country. They see your prices including the correct amount of VAT for their country. 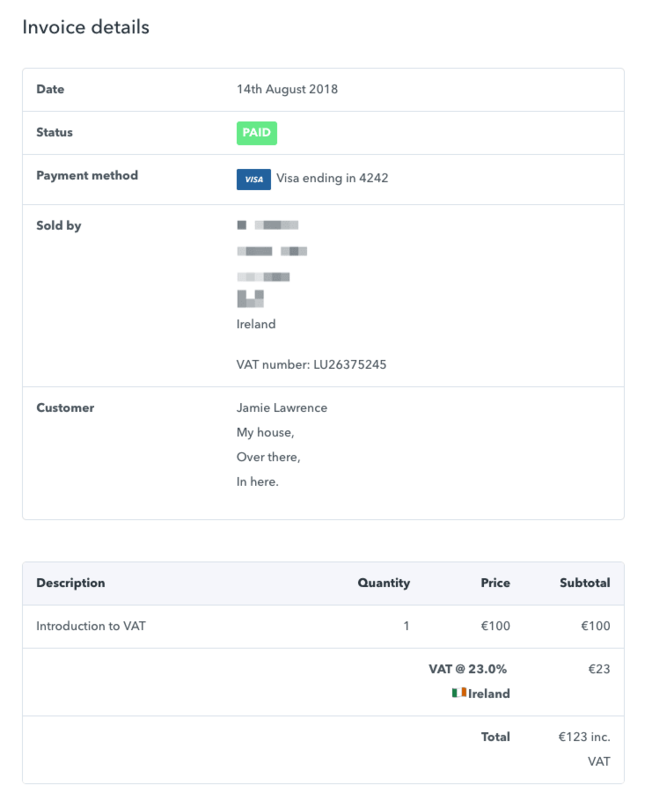 If a customer wishes to change the country used for the VAT calculation, they can do so at the checkout by clicking the "update" link next to the VAT rate. We will still verify that their browser location or payment country match the manually selected country. Additionally, if the country we think they’re in doesn’t match their payment country, we’ll display this dialog asking them to confirm the country to use. 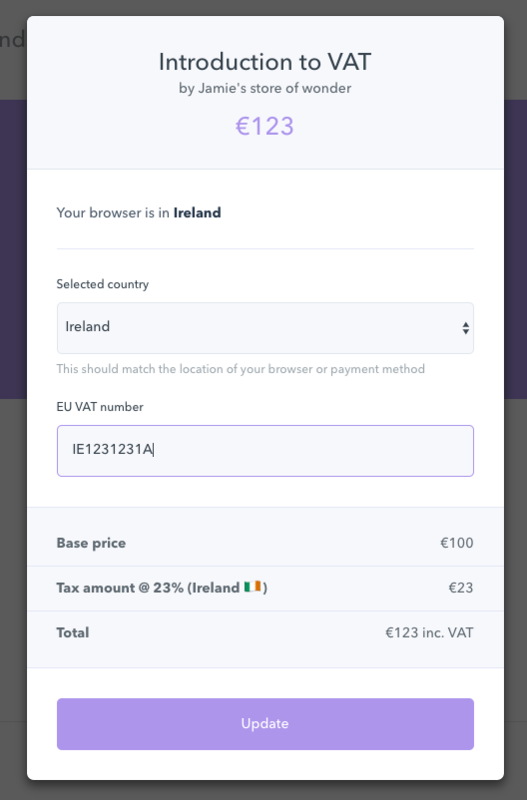 A customer with a valid EU VAT number can enter it in the tax settings dialog (shown above) and the VAT will be removed according to the reverse charge rules (i.e., if they are outside your country). After the payment transaction has completed, we ask your customer for their name, a password for their account, and their address. This address is displayed on their invoices and they're free to add any other information they require on their invoices to satisfy local tax regulations. Your customers can access VAT-compatible invoices for their purchases from the "Billing" item in the menu. These invoices will include your name, VAT number, address, the VAT rate and country, the ex-VAT price, and the VAT amount charged. 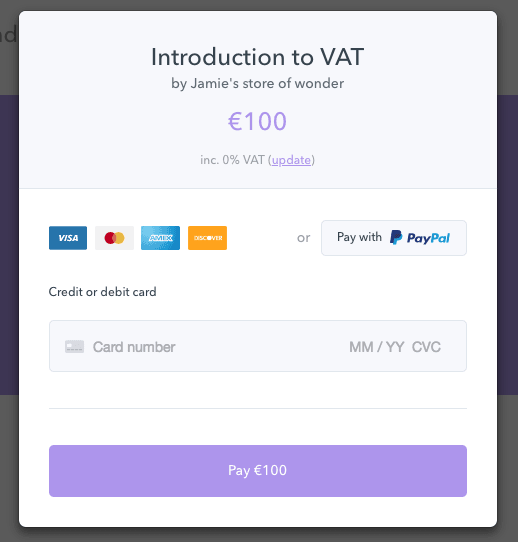 The VAT feature works with all currencies supported by Podia but your finances will be simpler if your storefront is set to your home currency. Otherwise you'll need to perform some currency conversions when making a VAT return. The revenue and sales figures displayed inside Podia do not include VAT. This makes sense when you consider that the VAT you've collected is not yours; you've just collected it for the government. The full breakdown of VAT details is available in the CSV sales export from your sales dashboard. We apply VAT to each payment of a payment plan. In the sales export we note both the expected VAT total for the order, and the actual amount of VAT collected so far in the payment plan. Sometimes it's not possible to authorize a sale because the location information can't be verified. 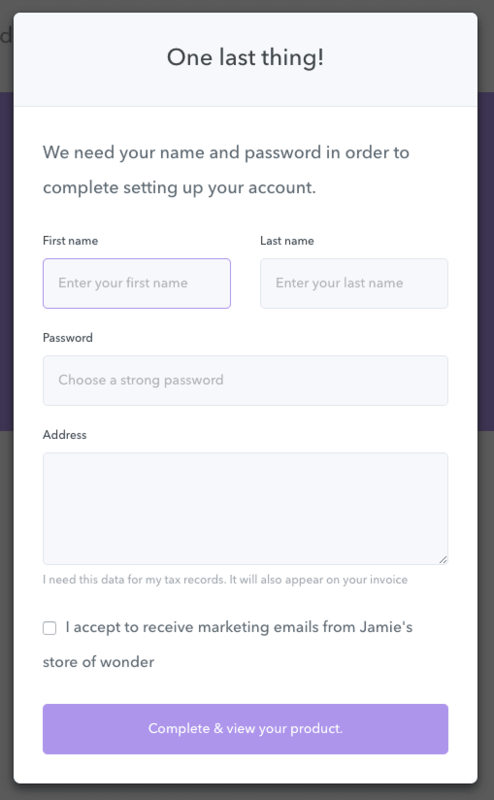 For example, we can't verify the location of a customer from the UK with a UK VAT number, browsing using a VPN that makes them appear to be in the US, and paying with a French Paypal account. It's usually possible to resolve these customer issues if they turn off their VPN, switch to another payment method, or select a country that matches their browser/payment country.